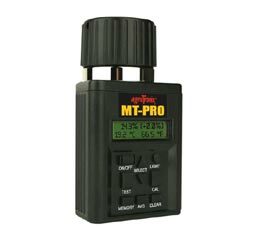 The MT-Pro has 39 grain scales: alfalfa, barley, beets, buckwheat, canary, purple clover, white clover, high moisture corn, low moisture corn, dactyl, fescue, flax (linseed), lentils, millet, mustard, navy beans, oats, Spanish peanuts, fodder peas, green peas, yellow peas, phleum, white popcorn, yellow popcorn, rapeseed (canola), long rice, medium rice, rye, rye grass, safflower, sorghum (milo), soybeans, sunflower, striped sunflower, triticale, wheat durum, hard red spring wheat, hard red winter wheat, soft red winter wheat, white wheat, and yellow lupins. 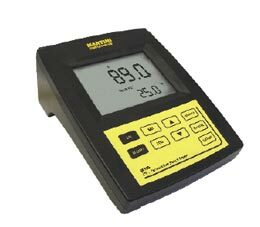 pH/Temp combined bench meter with automatic calibration in 1 or 2 points with 7 selectable buffers, range -2.00 to 16.00 pH / -20.0 to 120.0°C, accuracy of ±0.01 pH, automatic temperature compensation. 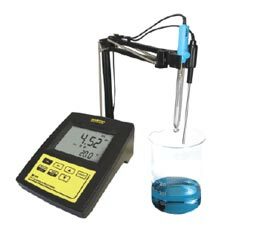 Supplied with a pH refillable electrode MA917B/1, temperature probe MA831R, electrode holder MA9315, 12 VDC adapter and calibration solutions. 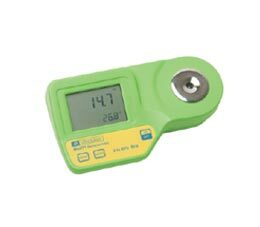 Combined logging with GLP EC/TDS/NaCl/Temp bench meter; range: EC 0.00 to 29.99 µS/cm; 30.0 to 299.0 µS/cm; 3 to 29.99 mS/cm; 30.0 to 200.0 mS/cm; to 500.0 mS/cm without cat; TDS range 0.00 to 14.99 mg/L (ppm); 150 to 1499 mg/L (ppme); 1.50 to 14.99 g/L (ppt); 15.0 to 100 g/L (ppt); to 400.0 g/L; NaCl range 0 to 400%. Temp range: -9.9 to 120.0°C. 1 point calibration for EC with 6 memorized values. NaCl with 1 point. Supplied with MA814DB/1 probe, electrode holder MA9315, software Mi5200, RS232 connection with 2 meter cable, 12 VDC adapter and calibration solutions. Combined logging with GLP pH/mV/EC/TDS/NaCl/Temp; pH range: -2.00 to 16.00 pH and -2.000 to 16.000 pH; ORP range: ±699,9 to ±2000 mV; EC range: 0.00 to 29.99 µS/cm; 30.0 to 299.0 µS/cm; 30.0 to 299.0 µS/cm; 3.00 to 29.99 mS/cm, 30.0 to 200.0 mS/cm; till 500.0 mS/cm without cat; TDS range: 0.00 to 14.99 mg/L (ppm); 15.0 to 149.9 mg/L; 150 to 1499 g/L (ppt); 1.50 to 14.99 g/L (ppt); 15.0 to 100.0 g/L; till 400.0 g/L. Supplied with a pH refillable electrode MA917B/1, temperature probe MA831R and MA814DB/1 conductivity probe, electrode holder MA9315, software Mi5200, RS232 connection with 2 meter cable, 12 VDC adapter and calibration solutions. 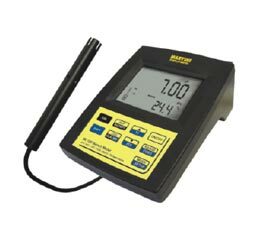 Digital brix refractometer. Range 0-85% Brix, resolution 0.1%, accuracy ± 0.2%. 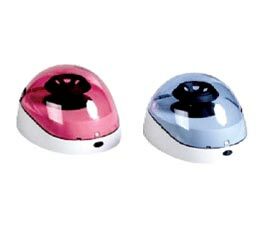 Supplied with 9V battery and instruction manual. 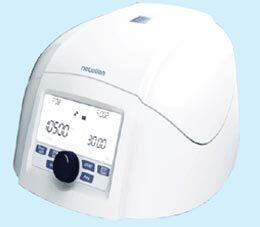 • Microprocessor based mini centrifuge Machine with large back-lit LCD display. The Mini - 6K & 10K available with same different rotor configuration. 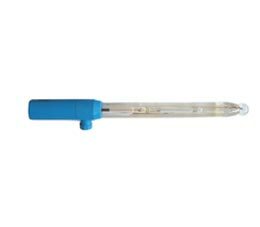 The strip tube model holds two 8 x 0.2 ml PCR strip tubes or 16 individual 0.2 ml tubes. The standard model accommodates 6 x 1.5/2.0 ml tubes directly and smaller tubes with adapters. Both 0.5 ml and 0.2 ml adapters are supplied with the standard unit. Operation of the centrifuge begins when the lid is closed. 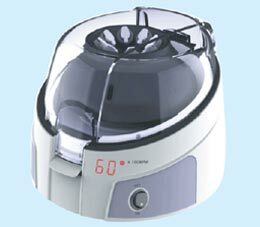 The rotor is quickly accelerated to 6000/10000 rpm. Upon opening the lid, the rotor comes to a stop.